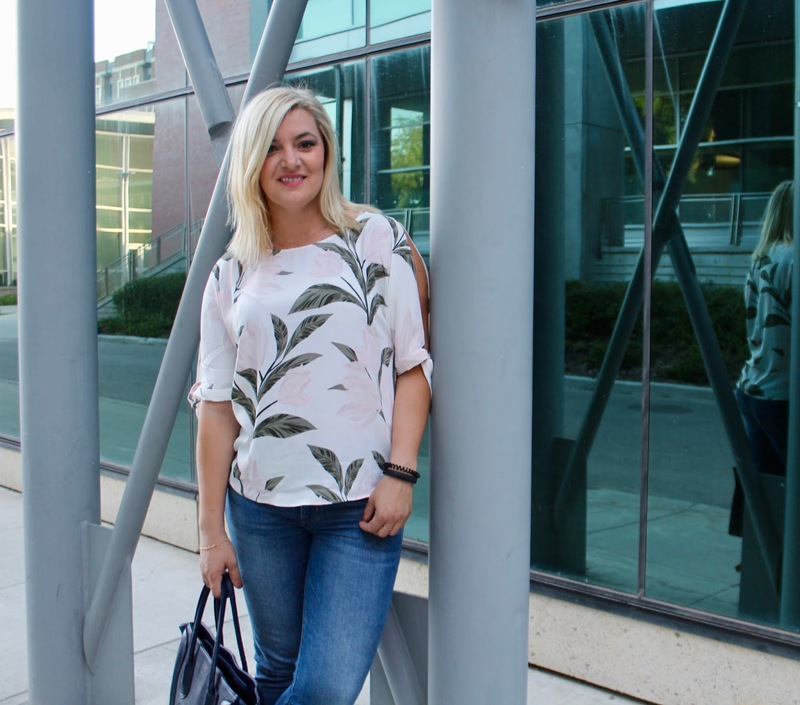 When in doubt, a pretty top, great jeans, and heels will always be my go-to. 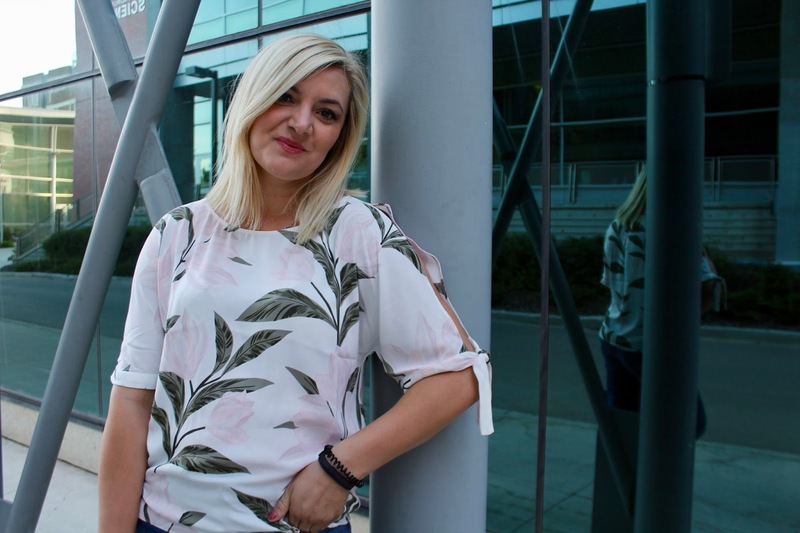 Case and point – this flower print top from Dynamite with this stunning tied sleeves. 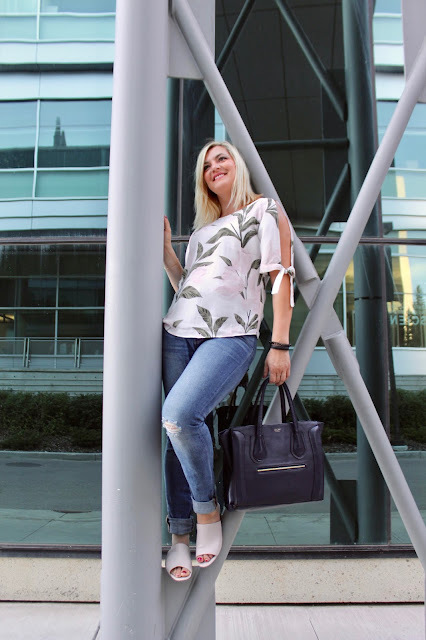 I love the cutouts, a relaxed fit, and detailed short sleeves so I paired it with skinny jeans and topping it off with the perfect pair of heels which helped me puts the finishing touch on an effortless look.